Evoluz provides legal transcription services to a long list of legal companies in an efficient, accurate, and timely manner. We only hire trained professional from legal backgrounds in to our legal transcriptionist team. They may include legal transcriptionists, court clerks and reporters, paralegals, and secretaries. This ensures high accuracy and timely delivery of legal documents. You can not only expect Evoluz to deliver high accuracy documents, but also rely on us to transform your legal audio recordings into an accurate and professional legal transcript with an attention to detail. We offer affordable and fast memorandum transcription. You can record your memorandum on a digital recorder, transfer to your computer, upload the files to our server. We process the files in your desired template or format dispatch it back to your through our secured FTP or email. This adds savings to you in in-house costs on salaries of secretaries, receptionist, support staff, etc. and you can use your internal staff for other responsibilities. Our highly qualified team of legal transcriptionist have been transcribing dispositions with high accuracy and reliability to our long list of legal clients who rely on us for their day-to-day disposition transcription. These clients are global and come from US, Canada, UK, Australia, New Zealand etc. One of our speciality, we are experts in transcribing court tapes. We have many experienced court reporters in our legal team who are familiar and coherent with court reporting process. They add value and accuracy to our court tape transcription. Verbatim transcription services are offered to clients who wish to have full and accurate transcript of everything dictated or said during the recording process. These recordings are typically done during trials, seminars, cross examinations, arguments, investigative interviews, etc. Evoluz also offers correspondence transcription services. These can include business trade shows, seminars, meetings and conferences, symposiums, etc. 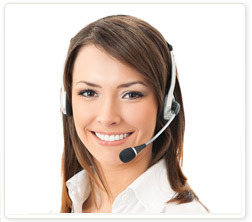 Many companies and almost every industry need correspondence transcription. We also provide on special request certified or notarized originals with your transcript. With our vast experience in legal transcription, we are well versed with the confidentiality of the legal documents. Your can be very well assured of the confidentiality of your legal document when partnering with Evoluz for your legal transcription needs. We are in total compliance with the Privacy and Data Protection Act and maintain high level data security. Upholding high level of service has ensured us with many legal customers who trust us with their work, and therefore come back to us time after time. We only employ experienced, qualified legal transcriptionist. Specialist documents are handled by expert legal transcriptionists.